Hello, we are BD Sport Group. Home of the UK’s biggest in-stadium betting provider BD Stadia, lottery specialists 50/50 Central & Sports Marketing experts BD Sport Rights. Online tickets now available for Aston Villa Fifty50 Match Day Draw! NEW SHOP COLLECTION OPTION FOR LADBROKES IN-STADIA BETTING! 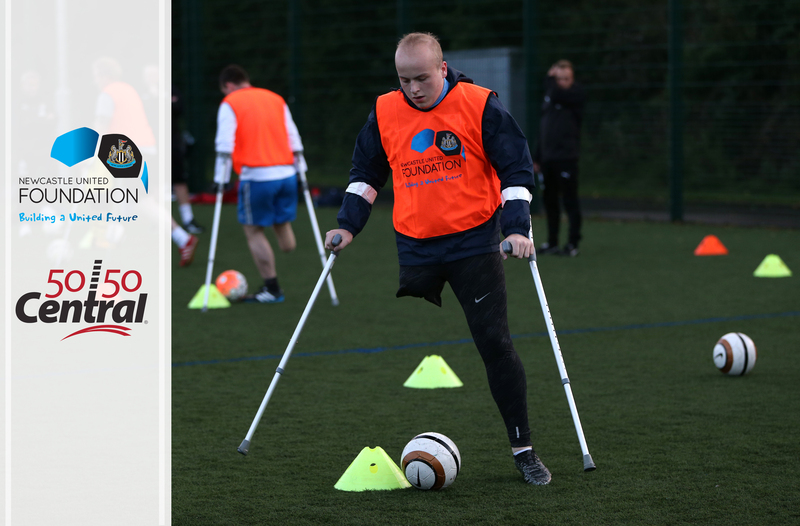 NEWCASTLE UNITED FOUNDATION 5050 MATCH DAY DRAW ANNOUNCED! BD Sport Rights is helping establish BD Sport Group as the pre-eminent sport gaming service provider in the industry and further develop our sports and betting offering. With our ongoing relationship with commercial teams across clubs, leagues, federations and brands we are able to help broker deals, advise brands and rights holders as well as manage and activate partnerships. BD Sport Group have worked with some of the leading brands and media properties developing strategic partnerships and representing commercial rights including with MLB, the NHL, the NFL; airlines including Virgin, Continental and United; federations including Baseball / Softball UK, the Rugby Super League, the ECB, the darts Premier League, La Liga; broadcasters including ESPN and the Setanta Group; and numerous sports clubs including FC Barcelona, Celtic and Rangers from the SPL and across the FAPL with clubs that include Manchester United, Chelsea, Arsenal, Liverpool as well as teams currently playing in the Football League, including Blackburn Rovers, Leeds United and Norwich City. BD Sport Rights recently brokered a series of sponsorship packages for Coral, including partnership deals with Newcastle United, Norwich City, Fulham and Leeds United. BD Stadia was formed in order to satisfy the demand for a better quality of service from betting providers in football stadiums. We have grown to become the largest in-stadium betting provider in the UK and Europe with over 1000 match day employees. We understand that for supporters, betting is an important part of their match-day experience and our aim is to offer the very best in-stadium betting service. focussing our customer service on the premise that every bet we take matters. 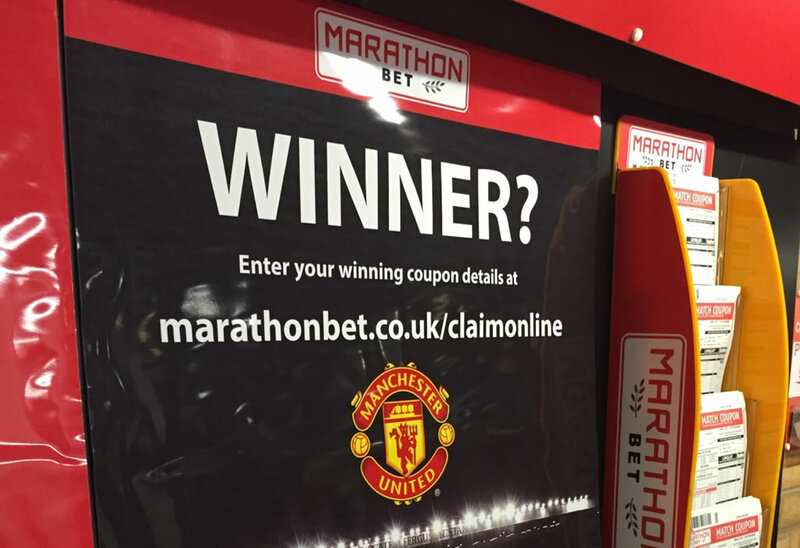 offering supporters a unique option to collect their winnings online with additional bonuses on offer for doing so. offer a wide range of game day specials, promotional giveaways and money-back offers. providing our expertise and support to the club and it’s online gaming partner to maximise the customer experience. Our match day betting service is currently operational at over 30 football clubs across the Premier League and Football Leagues including Manchester United, Manchester City, Liverpool, Arsenal, Chelsea, Tottenham Hostpur, Everton, Norwich City, Newcastle United and Sunderland. Copyright © 2013 BD Sport All rights reserved.